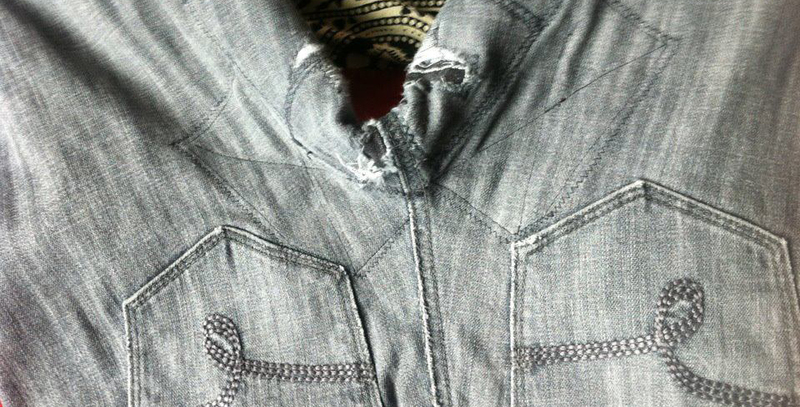 Why is patched clothing considered on average inappropriate? Why can’t I wear it to my government job on casual Fridays? Is it because being strapped for cash in our society is a sin against capitalism? Elbow patches have long been a fashionable, and prolonging, addition to sweaters and cardigans, yet they appear there because of wear or expected wear. Is there a way for crotch patches to be just as acceptable, perhaps even fashionable? Among certain groups patches (printed with band names, symbols, sayings, etc.) are an applauded form of declaring your beliefs or likes. Why can’t my patches say, “I ride a bike and wear jeans while doing it!”? My patches show that I am sensible, frugal and clever. Is my love of my bike a curse? Is my hate of wear-resistant commuter bike clothing irrational? Are my patches not aesthetically pleasing? Why do I have so many pairs of house-pants? Who is Amy?